● Most coupons redeemable on orders at Under Armour offer free shipping on minimum orders, which is an ongoing offer already noted on the site. You can get free economy shipping for orders $49 and up, as well as free overnight shipping for all orders $150 and up. Terms are subject to change at any time. 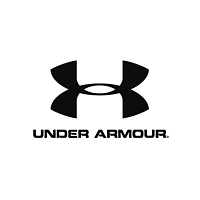 ● Under Armour offers a military discount of 10% on entire orders for active duty, retirees, veterans, military spouses and military families with a valid Troop ID. ● The Outlet section also features steep discounts on featured items. Shoppers can save on hundreds of items in this section and can also further filter products using the Price tool on the left side. Under Armour is an athletic clothing company that provides clothes for the general public and for athletes as well. On their website you can take a look at the various pieces of workout gear that they offer, plus the casual street wear that they keep in stock. Their most popular product categories include: shoes, sweaters, performance wear, and accessories. There is also an outlet that you can access through the website where their merchandise will be substantially marked down. Shoppers can find the right gear for men, women, and kids and they can take a look at all of the items that they have added to the new arrivals section on the site. For most up to date offers check out Under Armour on Facebook and Twitter or contact Under Armour Support for any questions.